Due to the strong sense among the student community of belonging to a specific social group, student revolts have been an integral part of the university throughout its history. Ironically, since the Middle Ages, the advantageous position of students in society as part of the social elite undoubtedly enforced their critical approach. 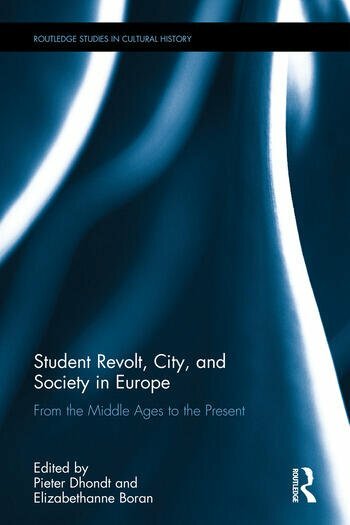 This edited collection studies the role of students as a critical mass within their urban context and society through examples of student revolts from the foundation period of universities in the Middle Ages until today, covering the whole European continent. A dominant theme is the large degree of continuity visible in student revolts across space and time, especially concerning the (rebellious) attitudes of and criticisms directed towards students. Too often, each generation thinks they are the first. Moreover, student revolts are definitely not always of a progressive kind, but instead they are often characterized by a tension between conservative ambitions (e.g. the protection of their own privileges or nostalgia for the good old days) and progressive ideas. Particular attention is paid to the use of symbols (like flags, caps, etc. ), rituals and special traditions within these revolts in order to bring the students’ voice back to the fore. 1. Students as Agents of Change? Pieter Dhondt is senior lecturer in general history at the University of Eastern Finland. Elizabethanne Boran is librarian of the Edward Worth Library in Dublin.